So You’ve Graduated From A.P.C. Raw Denim. Here’s What to Buy Next. First, the basics. Raw denim, also known as dry denim, refers to jeans that have not been wet, processed, or manipulated in any way before being purchased. People obsess over this because by leaving the fabric in its original untouched state, the wearer determines exactly how the jeans age — from how they fade (most important) to where they might rip or wear over time. 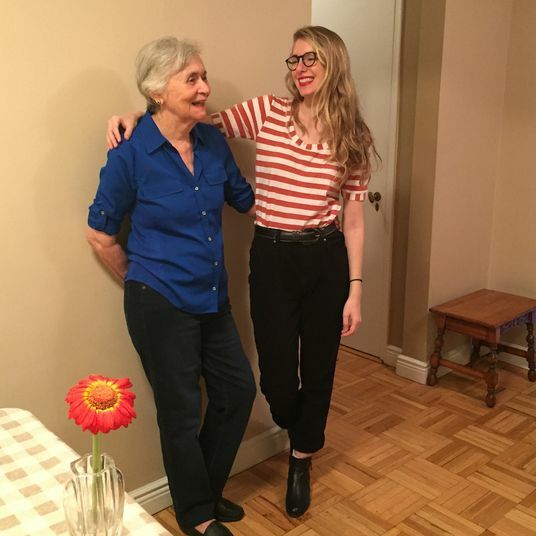 As that happens, each pair becomes specific to its owner only, kind of like a fingerprint, and the jeans themselves become like a mirror, the aging fabric a reflection of the wearer’s daily life. It’s a rare kind of customization. For almost ten years, A.P.C. 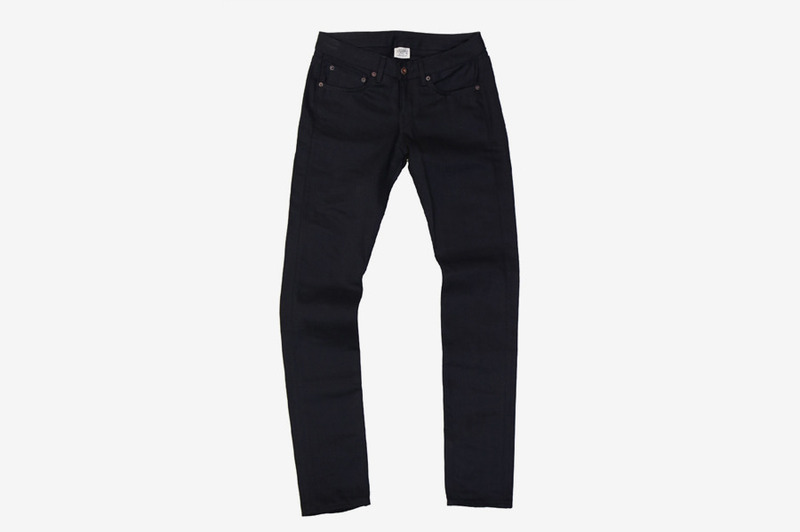 was the de facto standard for raw denim. The brand first started releasing raw denim in the ’80s and led the movement back to natural, organic jeans, so for a long time when you decided to become a denim-head and fade your own jeans with your own specific marks, you went to A.P.C. and got started. But if you’ve been there, done that, what’s the next move? You’ve worn through your A.P.C.s, you’ve been that guy washing your jeans at the beach (they recommend it), and you’re ready to dive deeper into the market. We spoke to denim makers, bloggers, and sellers to learn more about the upper levels in raw denim. 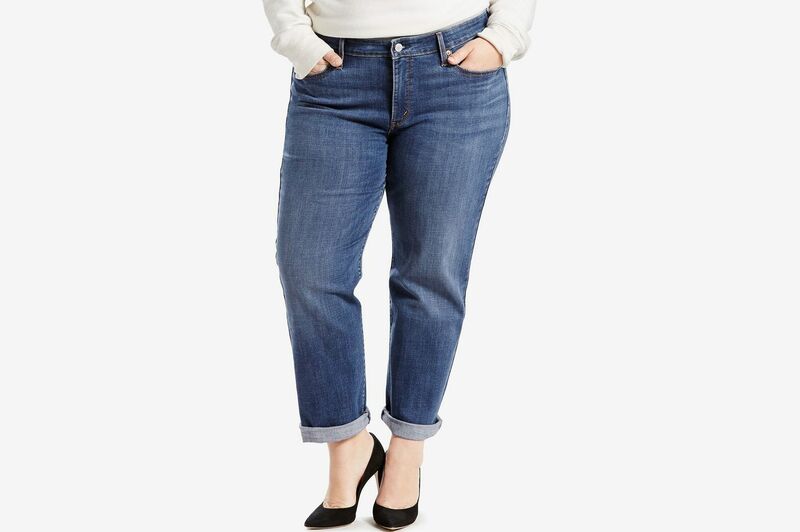 These jeans are your next steps. 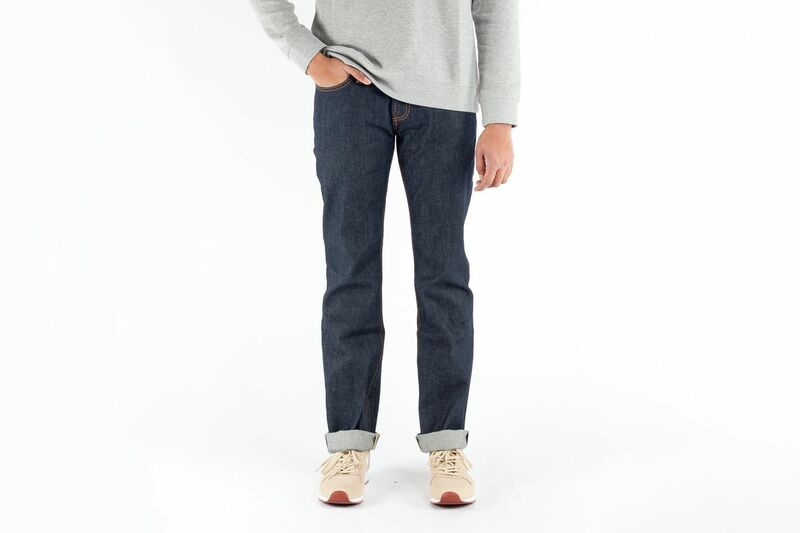 Nudie is a 15-year-old Swedish brand based in Gothenburg that uses all organic cotton and Japanese selvedge denim. 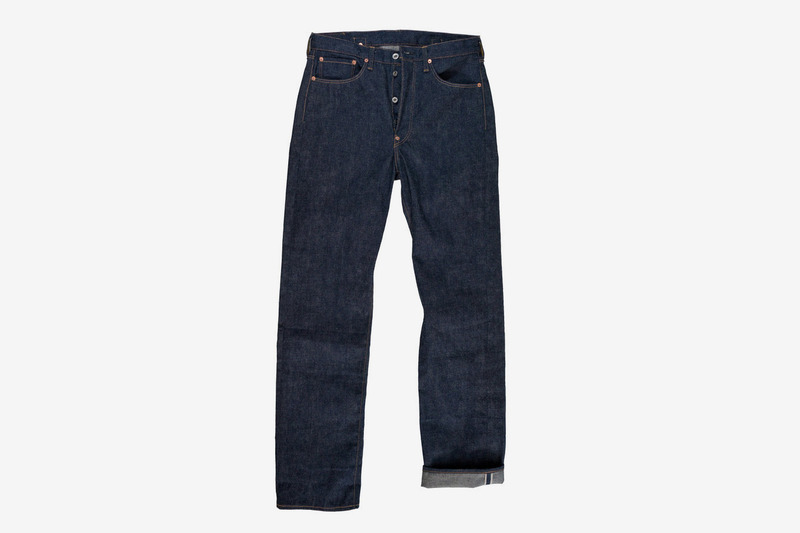 Important note: Selvedge is the narrow, tightly woven band that connects the seams on the inside of some jeans. 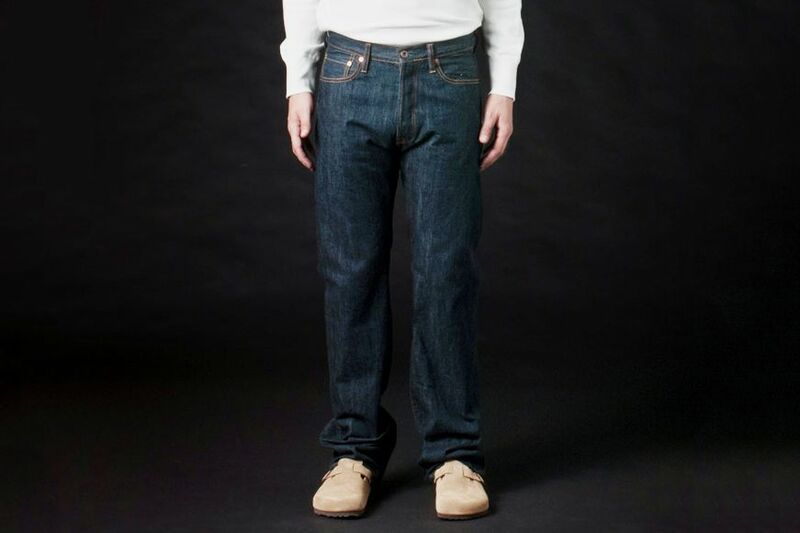 It prevents the denim from unraveling, so selvedge denim, as opposed to regular denim, is known to be of higher quality. 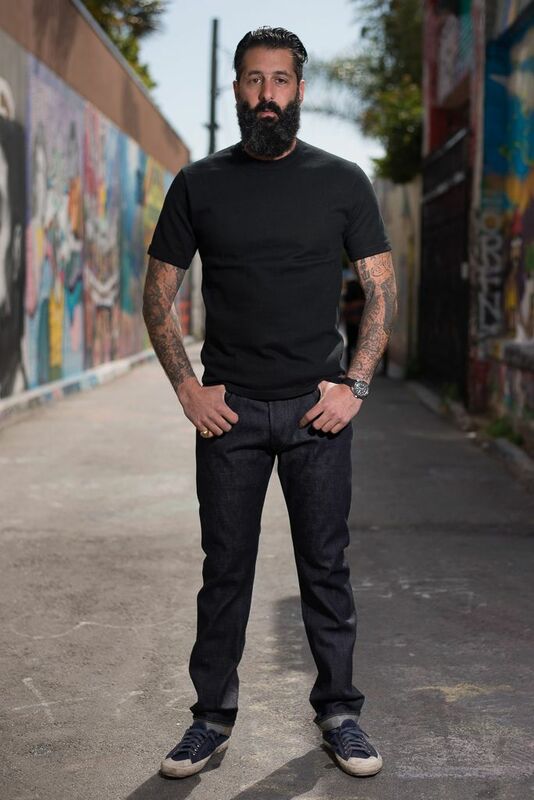 A big part of buying raw denim is watching your very own body influence and guide exactly how the indigo sheds, and Nudie jeans are specifically designed for a high-contrast fading. 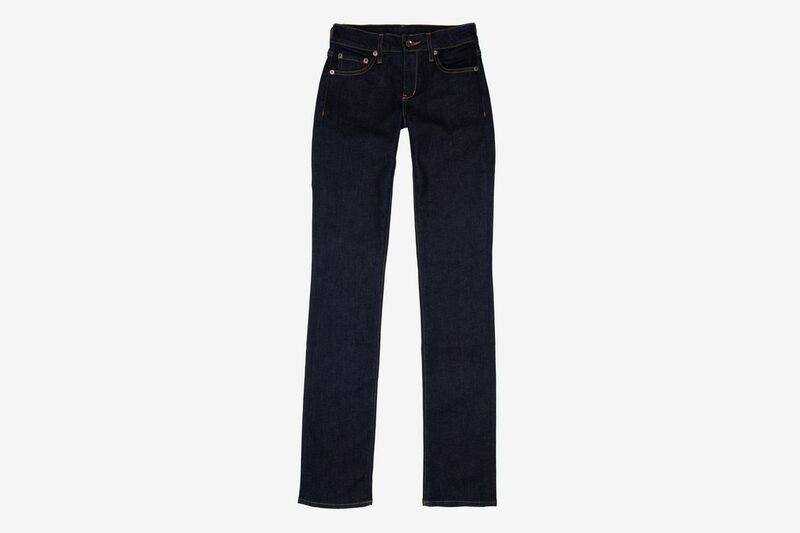 They’ve added prefaded jeans to their roster, but the dry denim options hold true to those intense fades that peak after about two years of wear. It’s also known by the orange stitching on the back pocket, the brand’s signature. When Brooklyn Denim Co. opened eight years ago, “every person in Williamsburg was coming in asking for A.P.C.,” says owner Frank Pizzurro. 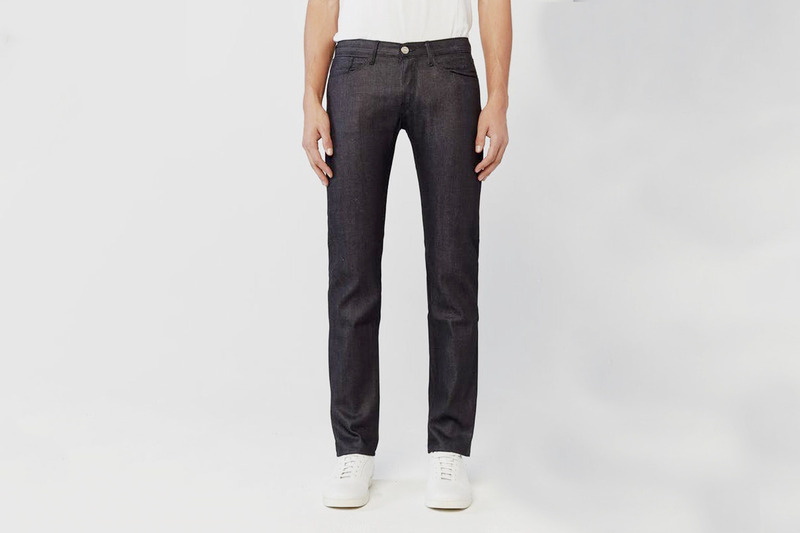 But Brooklyn Denim Co. didn’t carry A.P.C., so instead they suggested Tellason as an alternative. “That’s what we use as a good starter jean,” Pizzurro says. It fits a lot of different people, it holds up really well, and it’s not high maintenance. Denim heads will enjoy that it’s made of all Cone Denim, the last American denim factory, which actually just closed last December. Pizzurro found that Tellason had a similar fit to A.P.C., but wore better and lasted longer. It’s been one of their No. 1–selling brands ever since. 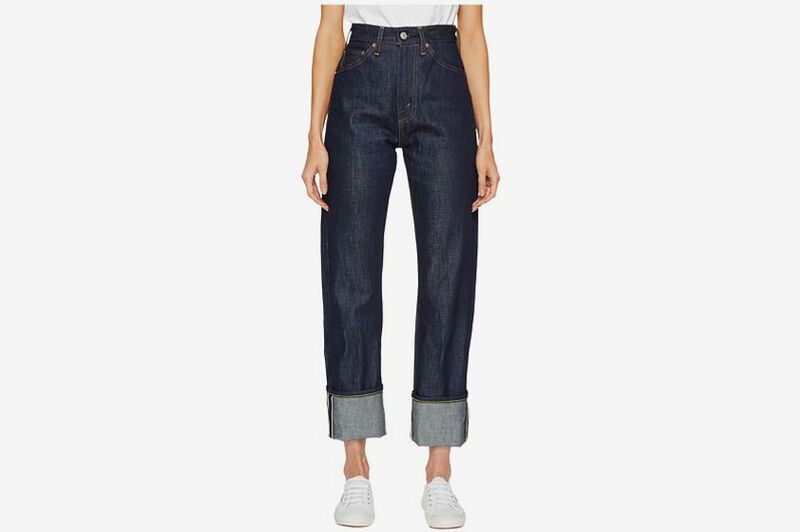 Real denim nerds won’t buy 3x1 because it’s a bit too close to A.P.C. designer mass production for them, says David Schuck, co-founder of the denim blog Heddels. But it is a rare large operation run with the same ethos of smaller obscure Japanese brands and one-man brands, the height of raw-denim sophistication (we’ll get to that later). And it is based in New York City, so it does attract a more fashion-aware crowd. 3x1’s flagship shop is also partly a denim manufacturer, and you can watch the denim being cut and sewn through a big glass window as you shop. They carry jeans you can buy right off the shelf, but you can also make an appointment and design custom 3x1s starting at $625. Naked & Famous was founded in Montreal in 2008 and has since been name-dropped in its fair share of rap songs. 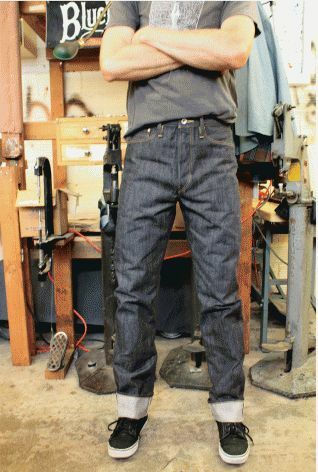 The designers here use Japanese selvedge denim in more playful ways than just about any other brand making jeans today. They once designed the world’s heaviest jean at 32 ounces (the average pair is 12 ounces); they’ve made glow-in-the-dark jeans, scratch-and-sniff jeans, and jeans that change color based on body heat, but the vast majority are more tame and very accessible. 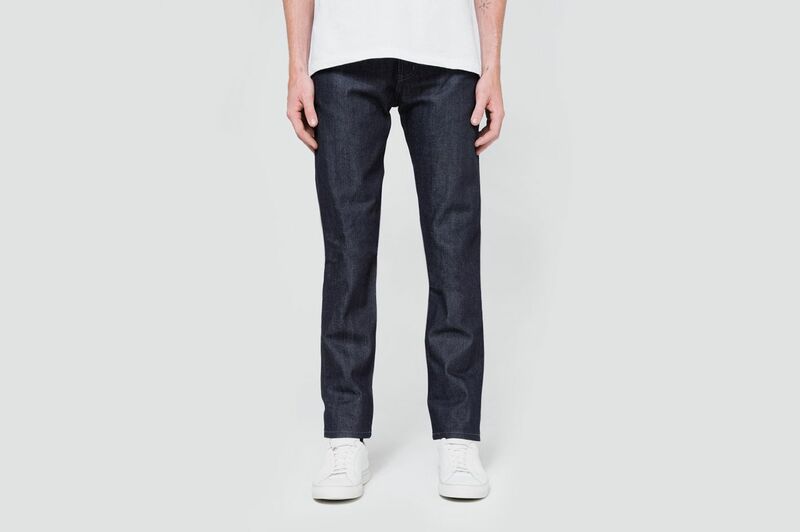 $135 at Need Supply Co.
All of the above brands are contemporary takes on traditional raw denim with fits and cuts updated to the modern wearer’s taste. 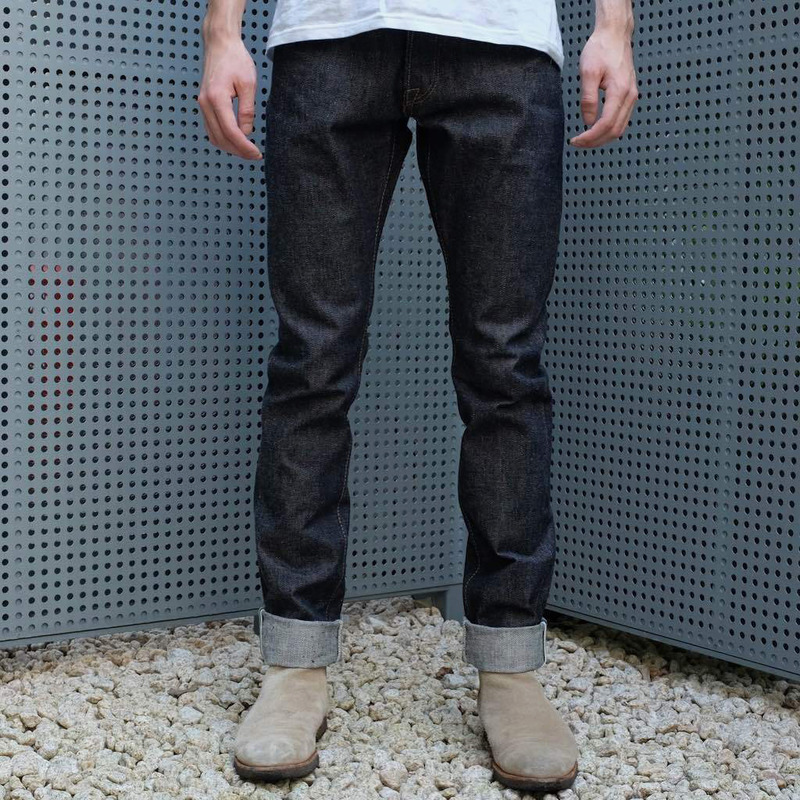 That’s one type of raw denim. The other, and the one that’s often more attractive to the insiders, is denim based on the cuts, feels, and fabrics of jeans made hundreds of years ago. 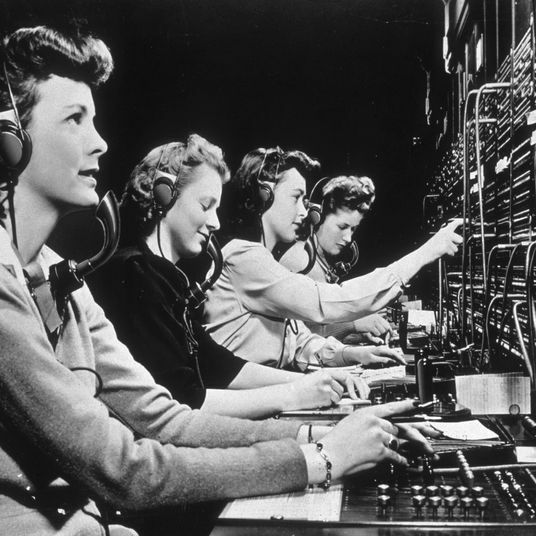 It’s all about vintage American workwear, and the goal is to get as close to that as possible. There are denim hunters who dive into mines to find jeans from the 1800s, and they’ve been known to sell those for upwards of $30,000 a pair. So ideally your jeans look almost exactly as they did 100 years ago. That’s where Levi’s Vintage Clothing comes in. 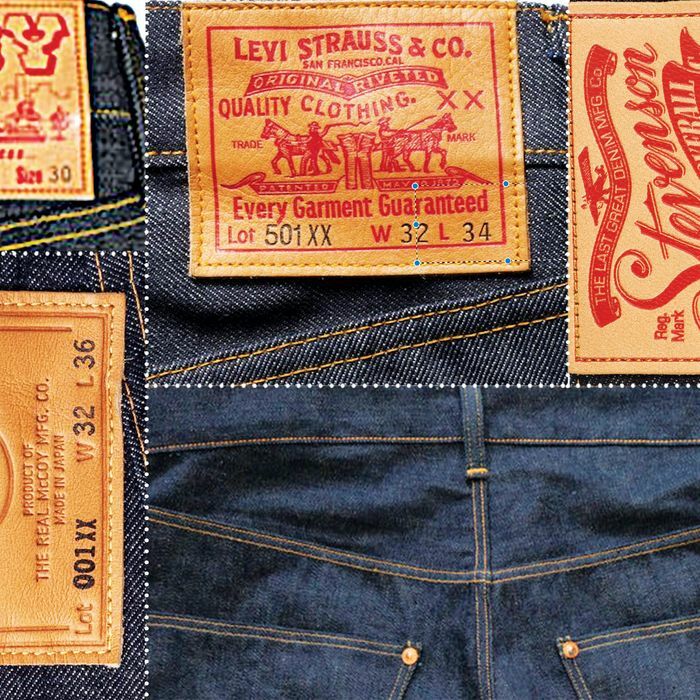 With this collection, Levi’s re-created their classic jeans literally stitch for stitch. The 501 you buy here is made the exact same way the 501 was made in 1966, 1890, 1954, or 1944. It’s historical and obsessive. Lately, when people come into Brooklyn Denim Co., they come in asking for 3sixteen. It’s actually designed by Kiya Babzani, the guy who started Self Edge. 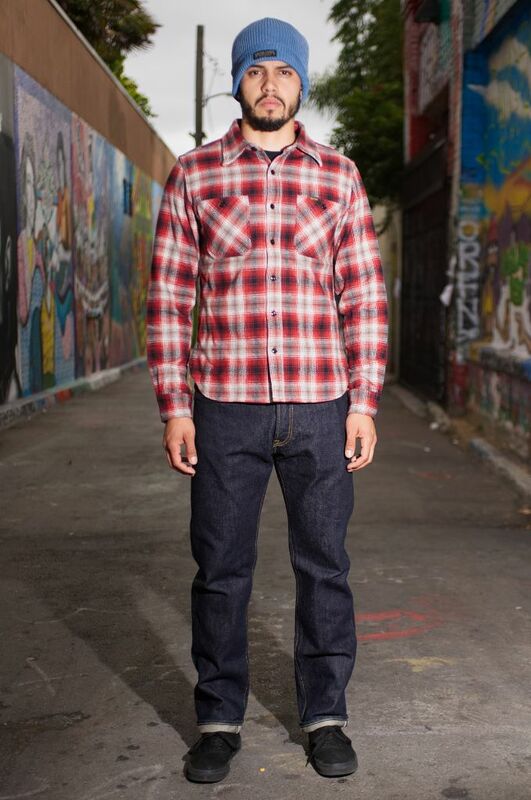 It’s made in San Francisco using Japanese raw denim. 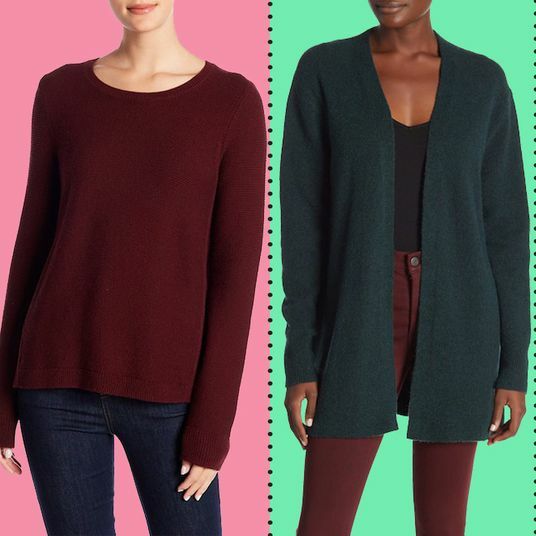 Japan-based brands are primarily for people deep in the know, and it’s not often easy to find their product in America. Brands like Sugarcane, Momotaro, Samurai, and Flat Head are highly regarded, but hard to find because they’re made in smaller runs and tend to be more expensive, so stores here just don’t carry them. 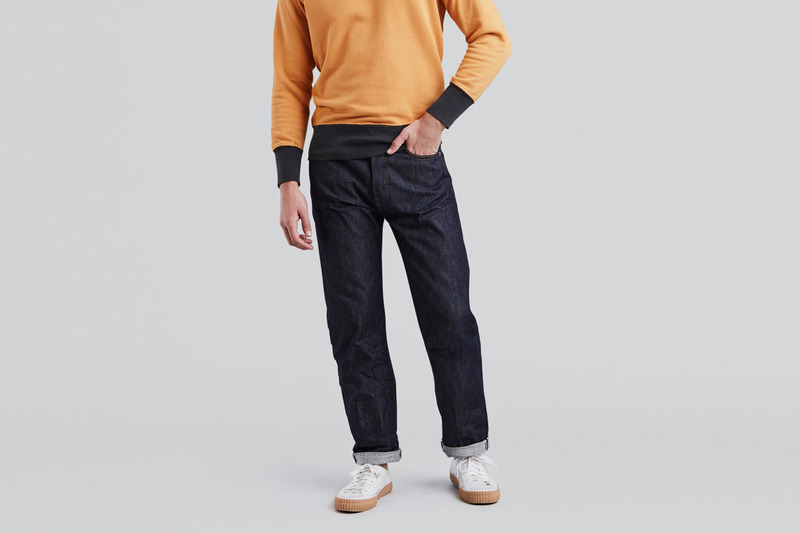 They also tend to feel different than American-made denim because they weave the fabric differently in Japan, but also use even heavier weights, so there’s a lot of texture in these fabrics. We’ll start here with Iron Heart. It’s a Japanese motorcycle brand that emphasizes construction. That’s why they design 24-ounce jeans (double the average pair), which are going to feel really, really stiff when you first buy them. Still, Shuck from Heddels says they’ve built a cult following over the last five years. Stevenson Overall Company is known for mimicking that raw, vintage-style denim, while still incorporating more modern details that make it unique. These are the kinds of details that only the fellow denim-obsessed might recognize, though, like handmade belt loops and curved back pockets that allow the jean to age differently than more traditional looks. 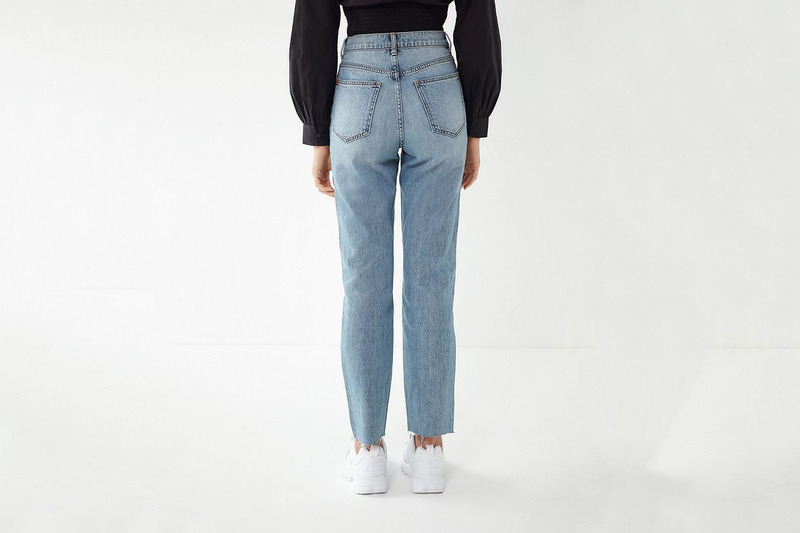 Also, they’re made on one of the only single-needle production machines in the world, so whereas it usually takes five to six different machines to make a jean, these are made with a single sewing machine. That’s the same way a jean would’ve been made 125 years ago, so it’s incredibly labor-intensive, but doesn’t look all that crazy on the rack. “That’s one of the most geeky jeans without being gimmicky,” says Babzani, founder of the raw-denim-focused store Self Edge. Pure Blue Japan is another one known for its textured, irregular fabric. Shuck says they feel like they’re written in braille. 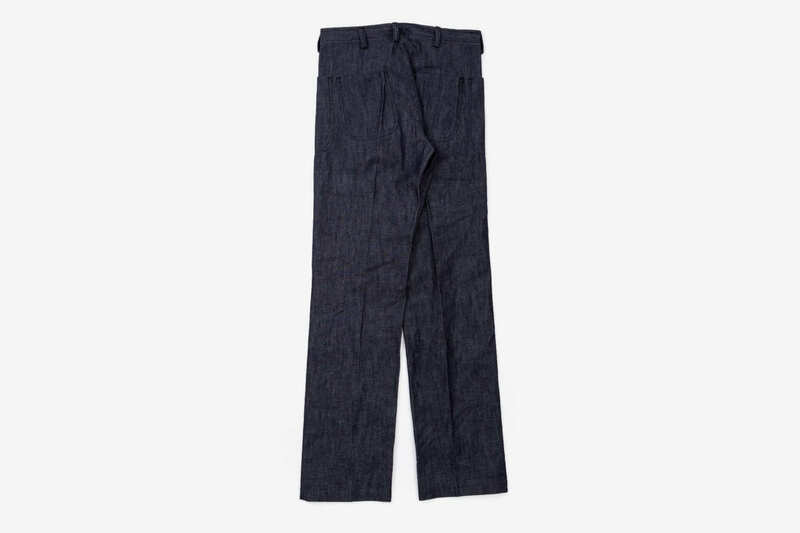 Because of how that fabric is run through the weaving machines, the indigo on these jeans fades into an unusual striated pattern you won’t find elsewhere. Similar to Naked & Famous with its glow-in-the-dark denim, there is Kapital, which offers surprising interpretations of classic American denim and workwear. In the past, it’s made completely green denim that was dyed in grass clippings, two-toned jeans, super-high-rise jeans made out of different types of denim, and just unusual stitch patterns also meant to age over time. But they also make more traditional five-pocket looks, and the construction is top-notch. The owner of Real McCoy’s is a Japanese businessman who, in a past life, drove around America in a Volkswagen bus collecting old jeans and WWII jackets. Now, he re-creates everything he found then exactly to the stitch. He goes extreme. And by that I mean that since there were fabric rationing during the war and the stitching wasn’t as good, he’ll purposefully stitch Real McCoy denim poorly so that it most accurately represents how it looked 70 years ago. “It’s like visiting a commissary in 1944 for American military clothing,” says Shuck. 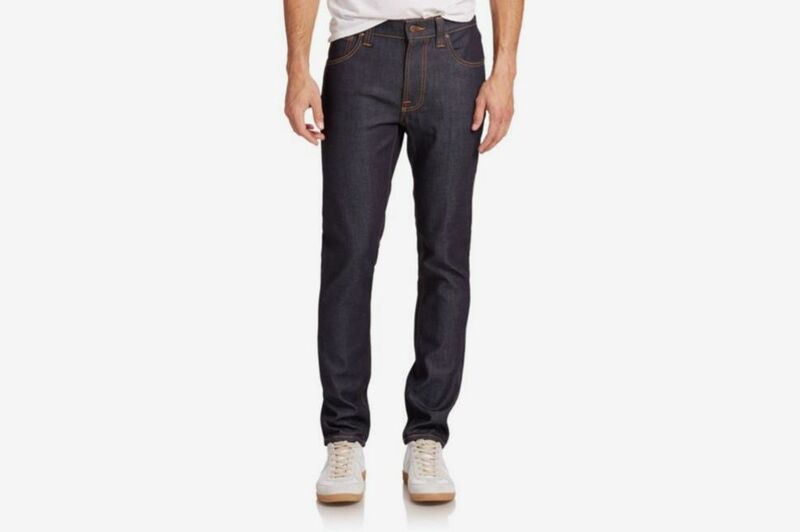 Right now, the top-of-the-line denim is that which is made by a one-man brand. There are two of these such people in America worth noting. The first is Takayuki Echigoya, who makes bespoke jeans out of Japanese denim in his Bed-Stuy studio under the name Bowery Blue Makers. For 20 years, Echigoya was a vintage-clothing dealer, and about two years ago he began re-creating those vintage dead-stock American looks using two dozen vintage sewing machines from the 1890s to 1950s. There are two options when buying from Echigoya. 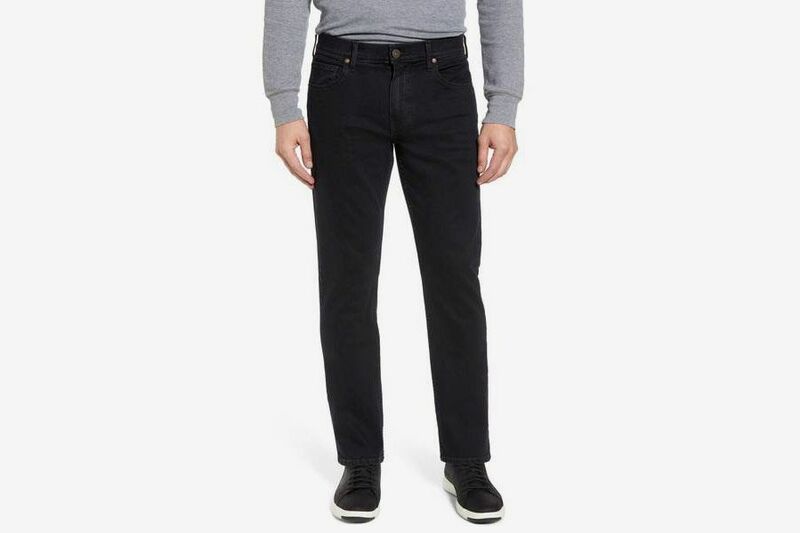 You can buy them made-to-order online or make an appointment to have him fit and design a pair of jeans just for you, where you can give him exacting specifications, like what your rivets should look like or where your belt loops should align on the jean. Then there’s Roy Denim, run by Roy Slaper in Oakland, who’s known to be the best denim worker in the United States right now. He releases jeans in batches on his site at random (you can follow his Instagram for updates), and they always sell out within ten minutes. While Echigoya is strict to his vintage roots, Roy has more fun with his styles. And while you can order bespoke Bowery Blues, whatever pops up on Roy’s site is the only thing you can buy from him. “His attention to detail is crazy. It’s on another level of psychotic,” says Babzani. Slaper is an ex–metal worker who got into jeans about ten years ago when he started collecting vintage sewing machines, some of which are the last of their kind. He brought together a massive collection and then taught himself how to use, fix, and rebuild each one. Then he taught himself how to design jeans. Now, he incorporates details like scalloped stitching that can’t be found on any other jeans anywhere because he’s the only one who owns the sewing machine that’ll stitch it. Roy sews his name in every pocket, and if you carry his name in your closet, you’ve reached peak denim. 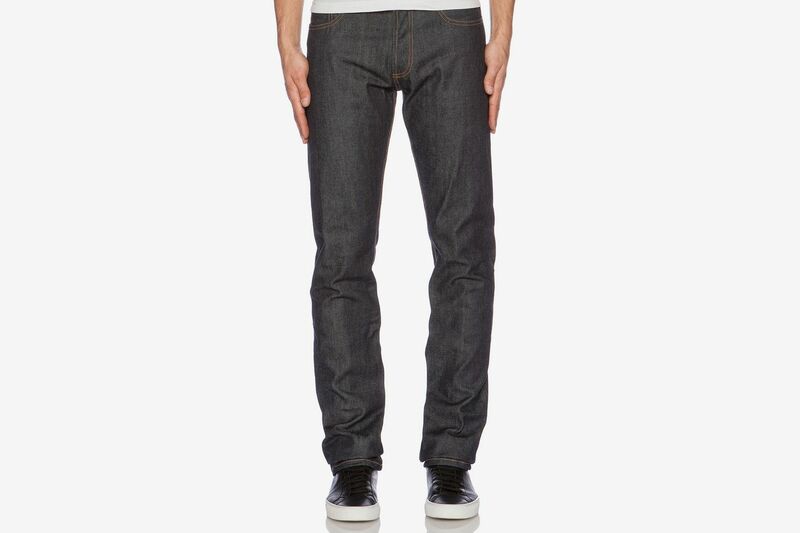 For most guys, the point of raw denim is that it’s textured and stiff and needs to be worn in. That doesn’t really work for women with curves who need their jeans to stretch in different places. One-hundred percent cotton just doesn’t have that kind of give. I once bought a pair of A.P.C.’s and they were so rigid, I got stomach cramps. 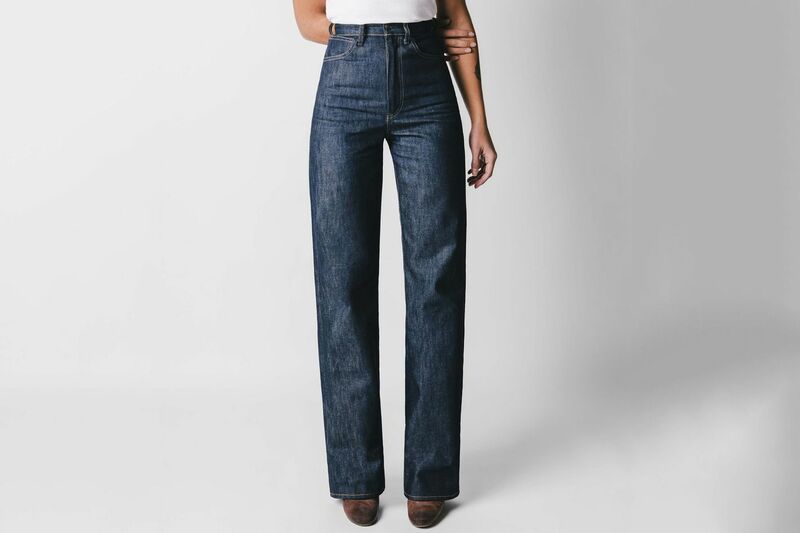 But one such brand making a go of fitting these fabrics for a woman’s body is Imogene + Willie, who do a really gorgeous high rise that’s 100 percent cotton and a more traditional mid-rise that uses the same exact fabric the brand uses for their men’s raw denim. 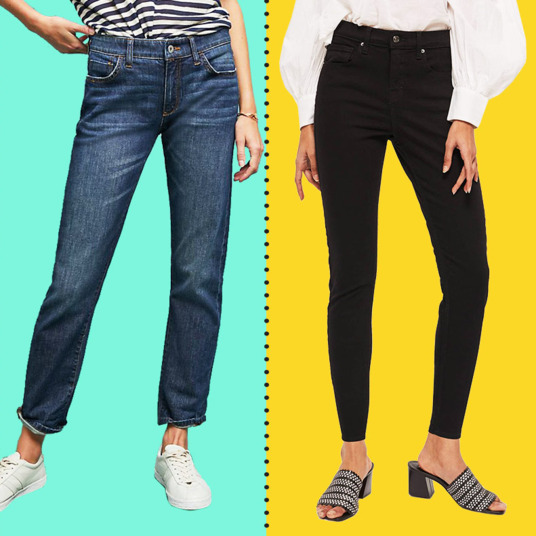 There has also been a tendency among brands who have done men’s jeans to just shrink the pattern for women, but that doesn’t work nearly as well. Raleigh Denim is one that’s designed new cuts to fit women. They do have 2 percent stretch, but that’s not much, and Pizzurro offers this one when women come in asking for raw jeans. Babzani from Self Edge also developed a line of women’s denim under his brand 3sixteen. 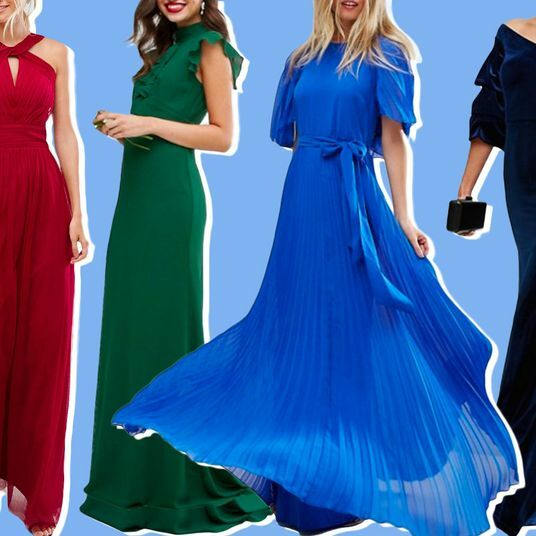 It’s been around for about ten years and includes a wide range of sizes and fits, but they all have stretch in them, which will get a side eye from the real obsessives. So, Babzani teamed up with the people behind PRPS and developed a line of four jeans and a denim jacket for women that are all made in Japanese factories and are up to par with the best of what’s out there for men. “It only took 12 years to figure out,” Babzani jokes. 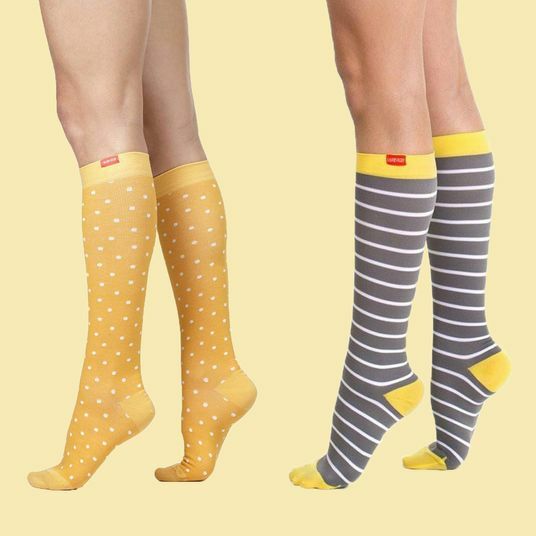 They’re available at Self Edge stores, but won’t come online until May 1. Railcar began as a one-man operation, making jeans out of a bedroom in L.A. Now, it offers nine different women’s jeans, some 100 percent cotton and some with stretch. So You’ve Graduated From A.P.C. Raw Denim. Buy This Next.